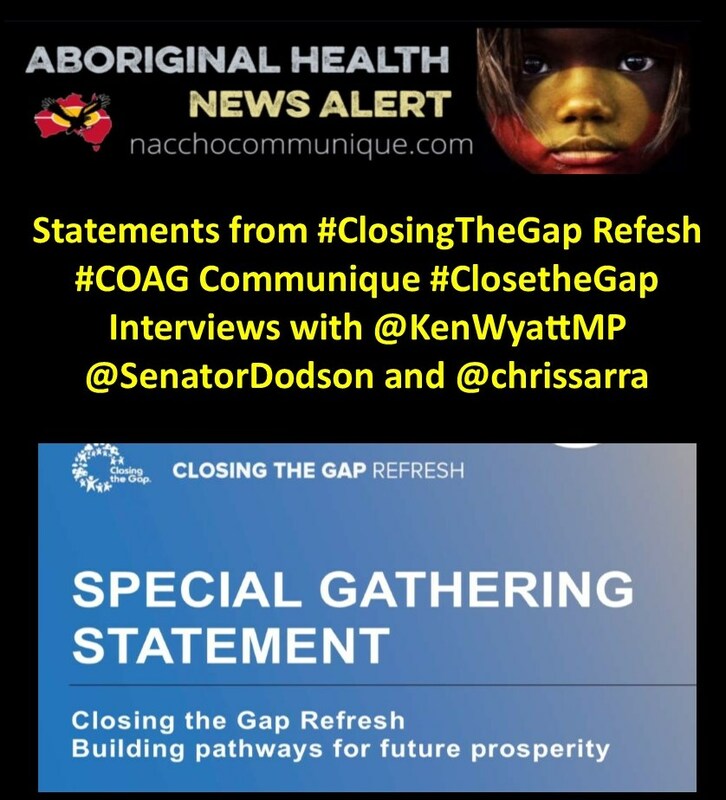 Closing the Gap aims to improve the lives of Aboriginal and Torres Strait Islander Australians. 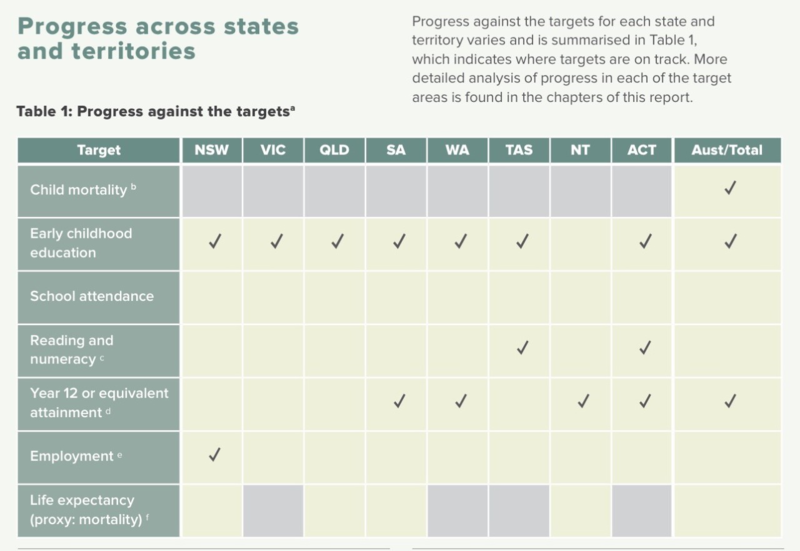 In 2008, the Council of Australian Governments (COAG) set targets aimed at eliminating the gap in outcomes between Indigenous and non-Indigenous Australians. 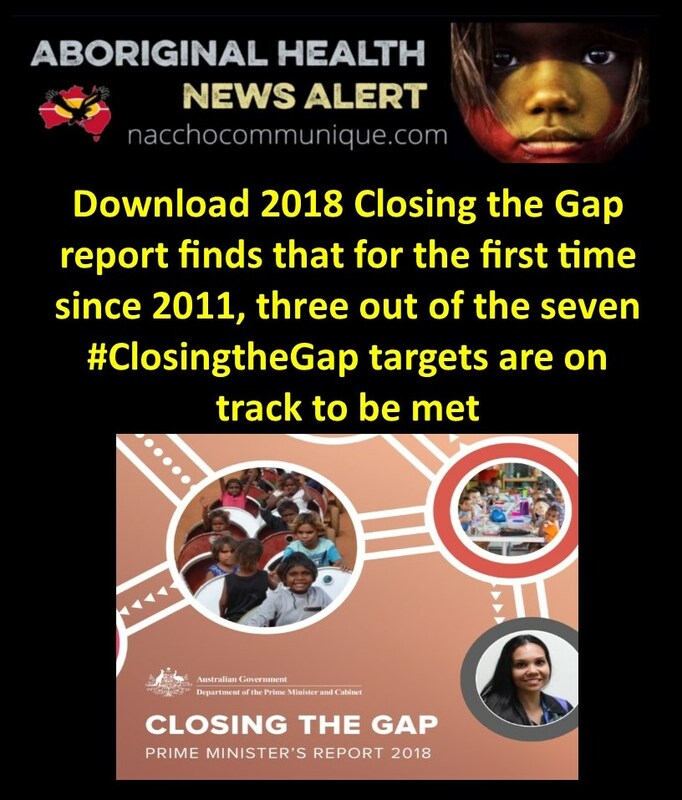 The 2018 Closing the Gap report finds that for the first time since 2011, three out of the seven Closing the Gap targets are on track to be met. In 2018 four of the seven targets will expire. Commonwealth, state and territory governments have agreed to work together with Aboriginal and Torres Strait Islander leaders, organisations, communities and families on a refreshed agenda and renewed targets. It will be important to look at what has worked well over the last decade, and where more needs to be done. COAG leaders have welcomed a focus on a strength-based approach that supports Indigenous advancement. All levels of government will work with Aboriginal and Torres Strait Islander people in genuine partnership to develop renewed targets that are measurable and meaningful. A Taskforce has been established in the Department of the Prime Minister and Cabinet to progress this important work. It is a history based on the extraordinary strength and resilience of Aboriginal and Torres Strait Islander people, their families and communities. This endurance of human life and caring for country is both profound and inspiring. The cultural strength and resilience of Aboriginal and Torres Strait Islander people continue to play a significant role in creating pathways for healing and addressing the trauma inflicted upon Australia’s First Peoples through past policies. Over the past year we have spent time acknowledging significant moments in Australia’s modern history that brought us closer together as a nation:the 50th anniversary of the successful 1967 referendum and the 25th anniversary of the Mabo High Court decision. The 1967 referendum and Mabo High Court decision were momentous occasions that followed Indigenous and non-Indigenous Australians standing side by side – campaigning for recognition of what has always been true; that Aboriginal and Torres Strait Islander people have cared for this country for tens of thousands of years. That their songs have been sung since time out of mind and these songs have held and passed on the knowledge of customs and traditions for 65,000 years. These anniversaries are humbling reminders that enduring reform and change only occur when we bring all Australians along; that the continued march of reconciliation in this country is not an inexorable one and requires the leadership and relentless pragmatism of those campaigners we honoured in 2017. We have a unique opportunity in 2018 – a decade after Australia committed to a new framework called Closing the Gap – to reflect, and recommit and renew our collective efforts and focus on improving outcomes for Aboriginal and Torres Strait Islander people. As we look back on the 10 years that the Closing the Gap framework has been in place, there is much to celebrate. Today, the annual growth rate of Supply Nation registered Indigenous businesses is an average of 12.5 per cent – the envy of all other sectors of the Australian economy. Today, Aboriginal and Torres Strait Islander people, on average, are living longer than ever before – and factors contributing to the gap such as death from circulatory disease (heart attack and stroke) are going down. Today, around 14,700 Aboriginal and Torres Strait Islander children are enrolled in early childhood education the year before full-time school, and there have been improvements in literacy and numeracy. And today, more Aboriginal and Torres Strait Islander children are staying in school through to Year 12. While closing the employment gap is challenging, we know educational attainment opens pathways to greater economic opportunity and can make an important difference in the lives of Aboriginal and Torres Strait Islander people. 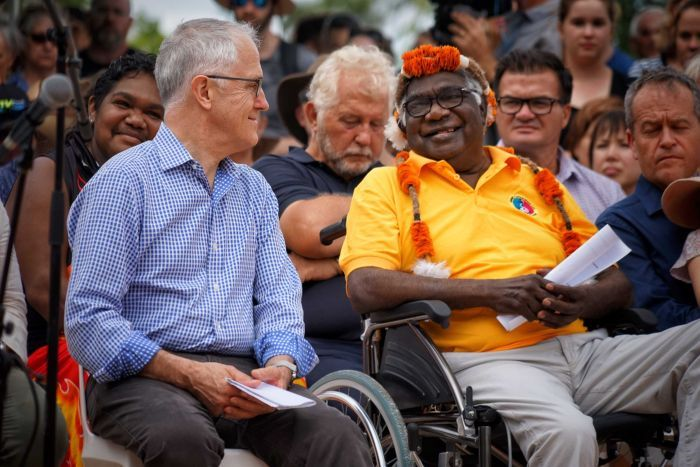 This reflects the efforts of successive governments – but more importantly, the efforts of First Australians to reach their full potential and live lives that they value. Importantly, it is something we should all be proud of. The Closing the Gap framework has provided the architecture for Commonwealth, state and territory governments to work with Aboriginal and Torres Strait Islander people in a holistic way to improve outcomes. Indigenous and non-Indigenous Australians, as well as governments, need to nurture honest, transparent, robust relationships based on mutual respect. It is a journey all Australians are walking. Although much progress has been made, we know we have a continuing journey ahead of us to truly Close the Gap. Like any great journey, we must ensure we continually review and realign our collective efforts based on what the data, the outcomes, and the people are telling us. What is clear is we must continue to maintain a long-term vision of what success looks like, and importantly how success is defined by Aboriginal and Torres Strait Islander people themselves. In this 10th Closing the Gap report, the Australian Government commits to staying the course with our First Australians – and working to help deliver a prosperous future.